Today I have a first impressions post on a new and exciting product launch that is due out this weekend, Saturday the 2nd of August on QVC and QVCUK.com to be precise. 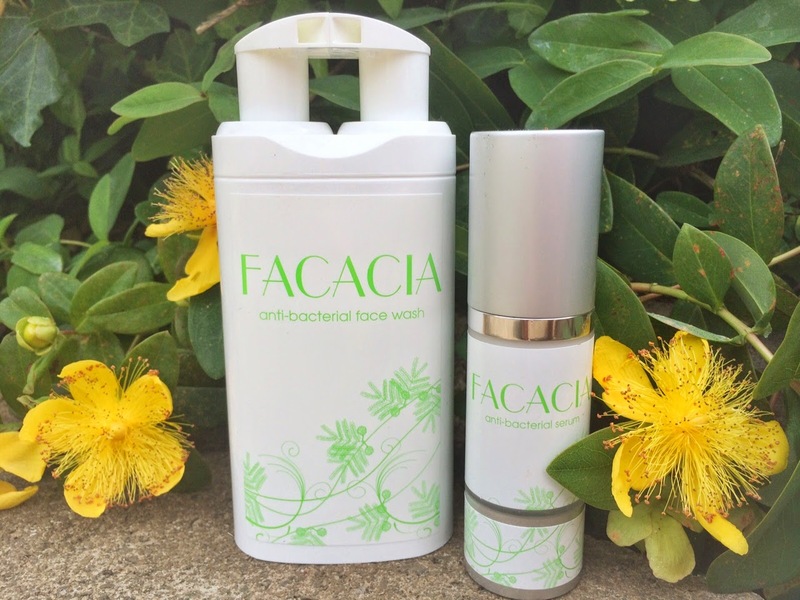 Id like to introduce to you the brand Facacia, what I have here is a two step skincare system that is also antibacterial, and we all know skincare with antibacterial properties is going to be amazing at banishing those pesky spots and prevent them from showing up again. To be honest with you these products couldn't have been sent to me at a better time, I'm having serious breakouts around my chin area at the moment so I can really put them to the test and see how they work (watch this space). On the press release I was sent it mentions that these are the "unsung beauty hero's" for the very well known makeup artist Gary Cokerill (give him a google you'll know who I mean) his clients include big celebrity names such as Kelly Brook, Amanda Holden and Myleene Klass. this statement along with the fact its going on QVC says to me these products are going to be a gud'un. I'm so excited to give these a proper go and share them with you. 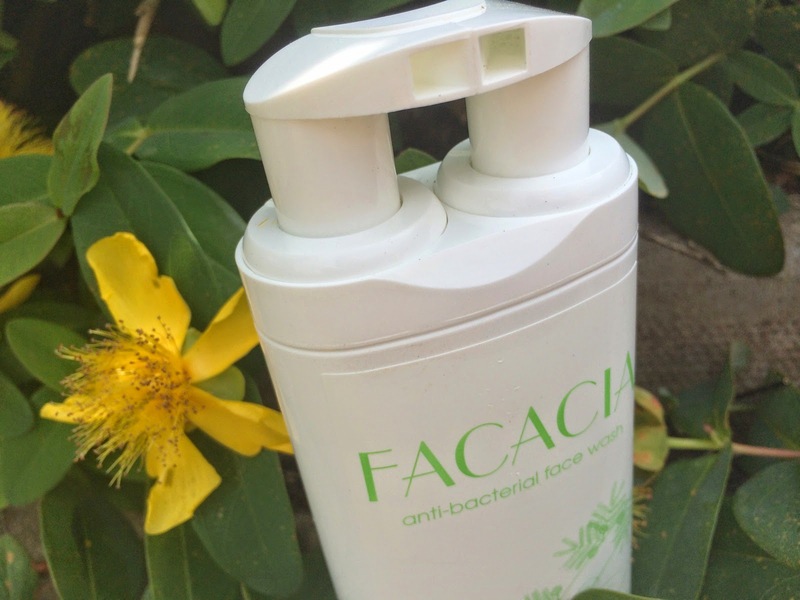 "Facacia is an ultra effective anti-bacterial face wash that kills the bacteria that causes skin blemishes. This unique duo-foamer is a combined cleanser and toner formulated to clean pores and reduce excess oil. Facacia is enhanced with Acacia extract which is known for its anti-oxidant properties. 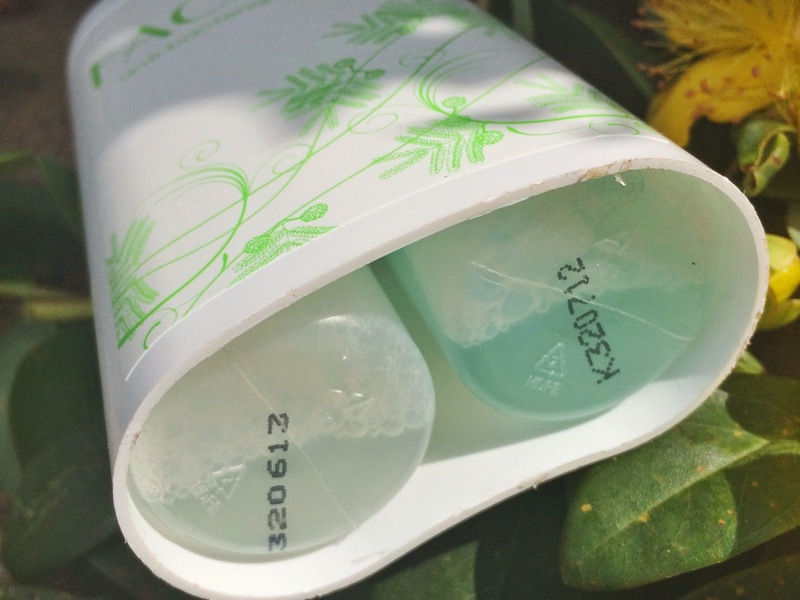 It has been dermatologically tested and is un-fragranced making it safe for all skin types. Use before applying make-up and after it has been removed. Then to complete your daily skin regime use Facacia anti-bacterial serum." The bottle it comes in is like nothing I've seen before, this has a duo-pump that dispenses just the right amount of product from two different tubes that are seen from inside the packaging. One pump is all you need for your whole face and it comes out in a light, frothy foam. I then applied It to wet skin and massaged it all in and waited for a minute to give it time to absorb a little, I then just rinsed it off with warm water. I love the fact this is a cleanser and a toner combined, it saves the hassle of that extra step in your skincare routine, I also know for certain my other half would really enjoy this product as he likes to just wash and go ..I think this would be perfect for any lazy people out there like him ha. As this is a spot fighting and foaming product I was half expecting it to leave my skin dry and tight feeling but this wasn't the case, it actually felt rather soothing and cooling. It also contains Salicylic Acid which is well known for its spot fighting abilities. "Facacia anti-bacterial serum is enriched with vitamins A,B,B5 and E to moisturise and protect the skin after washing. Facacia soothes and calms the skin whilst its residual anti-bacterial properties help to prevent further blemishes. It is enhanced with Acacia extract which is known for its anti-oxidant properties. 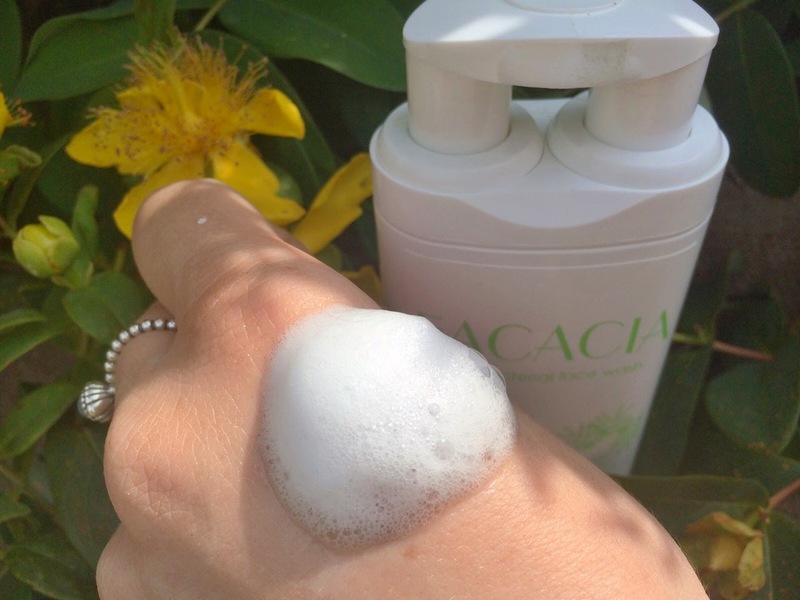 Facacia is a gentle un-fragranced formula and is safe and kind to all skin types. 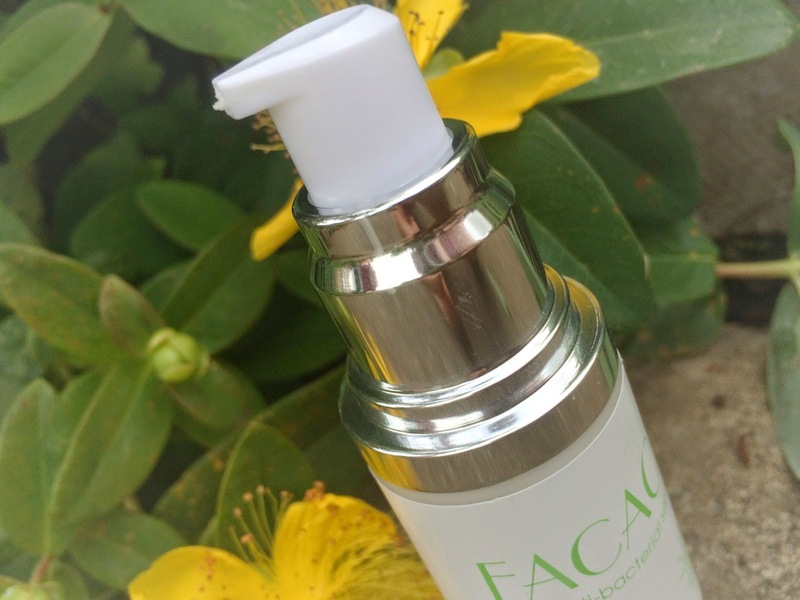 This Serum is to complete your daily skin care regime after using Facacia anti-bacterial face wash."
The bottle is very sturdy and sleek looking, I love how this has a pump too.. that again dispenses just the right amount of product for your whole face with just one press, it makes light work and saves you wasting product! I applied this to my freshly washed skin after I patted it dry with the towel, then worked it into my skin by lightly massaging it in upward strokes until it was all absorbed. 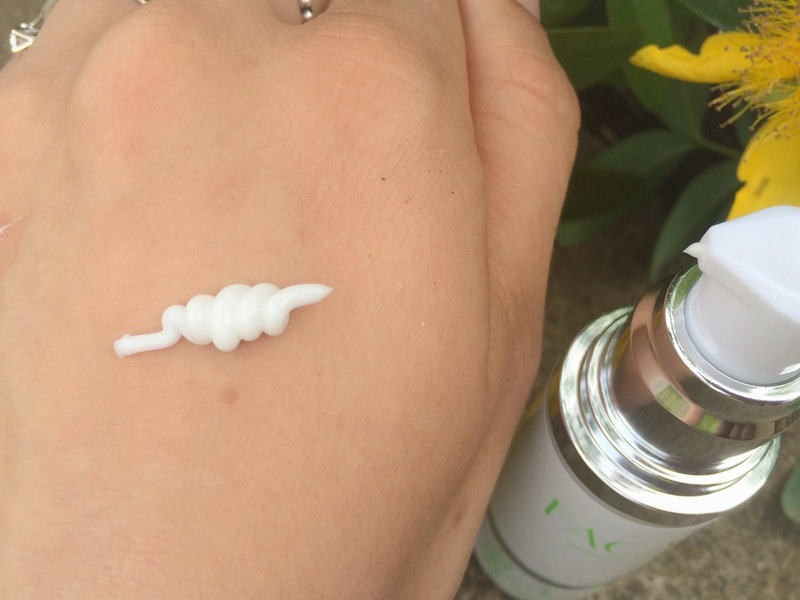 This serum has very light yet creamy consistency that felt very refreshing and hydrating on my skin..probably due to all the lovely vitamins its enriched with! I found this serum made a great base for my make-up as it seemed to have took out slight redness from any spots I have, smoothed out my skin nicely, reduced any oiliness and left it looking rather radiant if I'm honest!.. so saying that i'm pretty impressed, so far so good. The Facacia Skincare System will be launching over on QVC and QVCUK.com from Saturday 2nd August, for the price of £29.99. I think this is a great price for something that is essentially a cleanser toner and serum. This would also be the perfect kind of system for any teenagers that suffer from acne, just because of how simple and easy it is to use if your a skincare newbie. What are your thoughts? Is this something you'll be interested in? I like the packaging and the idea of the double aspect of the face wash! Seems like a good product!